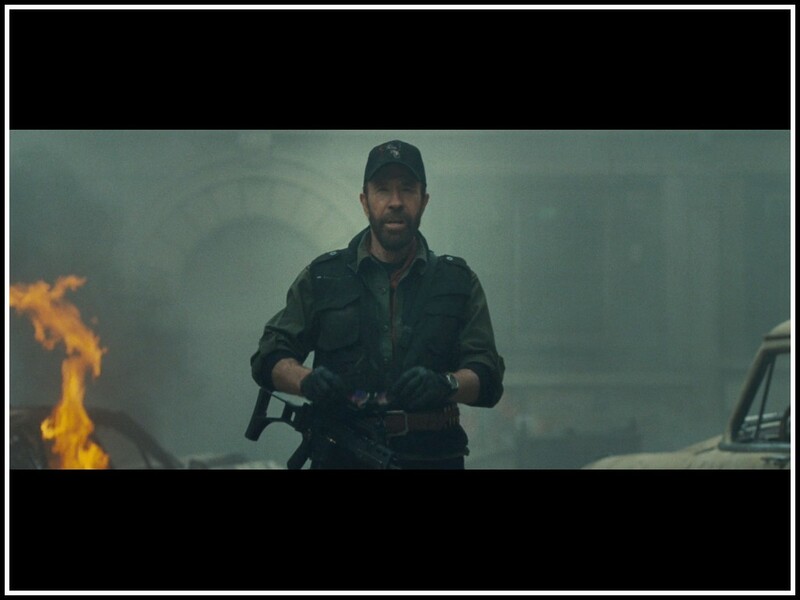 ‘The Expendables 2’ Might be PG-13 Because Chuck Norris Says So!!! Expendables Premiere (via Arrow in the Head) translated an interview the Polish paper Gazeta did with Chuck Norris the other day. In summary, Norris thinks that he got the producers to make the sequel to the ‘R’ rated Expendables to be PG-13. Now, as long as I’ve been in the business, I’ve never heard of a cameo supporting role calling the shots. I seriously doubt Norris made this happen. (Insert joke here). But I can see the studio making it a PG-13 rating to make more money. Even though the 1st film made tons of money while being an ‘R’ rating, by going the PG-13 route, they could triple their profits. Will it be as good? No, most likely not. But below is what Norris said in the interview. Now you might be thinking…”considering Chuck’s film resume, why would he want to play it soft? Well I guess in his old age, he too has gotten soft. Sad times indeed. My suggestion is for Chick to live up to his myth and grow a pair of nuts and have fun like all the other action stars. Just sayin’. Mel Gibson Might Be The Latest Old Guy To Join ‘The Expendables 3’!!! This entry was posted on Wednesday, January 18th, 2012 at 4:36 pm	and is filed under News. You can follow any responses to this entry through the RSS 2.0 feed. You can skip to the end and leave a response. Pinging is currently not allowed. « Sarah Silverman’s New NBC Series Gets a Couple of Actors!! !